iPads and technology will be the theme of outreach initiatives at the Waterbury library this academic year thanks to a $4,670 Library Services and Technology Act Grant for Services (LSTA) that was awarded by the Connecticut State Library Board (CSL). 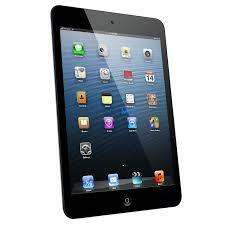 Funding enabled Waterbury to purchase 10 iPad Minis, provide instructional sessions, and through its partnership with the Osher Institute Lifelong Learning Institute at the University of Connecticut (OLLI), offer a community outreach event. The LSTA Grant, funded by the Institute of Museum and Library Services, the primary source of federal support for the nation’s libraries and museums, is awarded annually by the CSL through a competitive process that seeks to identify innovative programs at all types of institutional libraries. Campus Library Director Shelley Goldstein partnered with Brian Chapman, Director of OLLI in submitting a proposal entitled iPads for OLLIs. The program will be launched in the spring. “It is a collaboration that effectively combines librarians’ skills set with OLLI’s captive audience and ultimately serves to enhance knowledge of iPads, social media, and “apps” to adult learners – a group that is often left out of the technological loop,” Goldstein said. The proposal cited Pew Center data indicating only 54 percent of older adults are using the web, as compared to 80 percent of the general population. “Resistance to new technology is typically linked to unavailability of training opportunities and lack of awareness of its utility,” she adds. The choice of promoting iPads was based on research which showed that it is easier for older adults to navigate with a swipe and a tap than maneuvering a mouse, especially when adjusting text size. Goldstein also fell back on personal experience in noting how intuitive it was for a 91-year-old friend to expertly use an iPad to play games, read the newspaper, and occasionally peek at grandkids’ photos online. As part of the grant agreement, there is a service match of 25 percent, which is comprised of instructional sessions from librarians and administrative support from OLLI staff who will market the program. In addition, OLLI purchased textbooks for use during instruction (iPads for the Older and Wiser) and is sponsoring an event featuring the author Abby Stokes of A Computer Handbook for Late Bloomers, Technophobes and the Kicking & Screaming. “The OLLI program is thrilled to be able to benefit from the LSTA grant,” said Campus Director Dr. William J. Pizzuto, adding that “it falls in perfectly with our mission to provide learning experiences for older adults who want to engage socially and intellectually.” OLLI is primarily a volunteer-run program, with more than 700 members from 80 surrounding areas. Members attend classes and events at the Waterbury campus. Written by Anna Kijas, Music & Dramatic Arts Librarian and Project Coordinator, Scholars’ Collaborative. The Scholars’ Collaborative, which began in March and concluded in December, was a pilot project undertaken by the Libraries. Through it, faculty and graduate students were provided with physical space, expertise, and project management assistance to develop innovative projects using digital tools. For it, the Scholars’ Collaborative partnered with graduate students and faculty from several departments and programs, including English, Geography, History, Medieval Studies, and Digital Media & Design. During the pilot, we coordinated and taught workshops, which introduced faculty, students, and library staff to methods and tools used in digital scholarship. 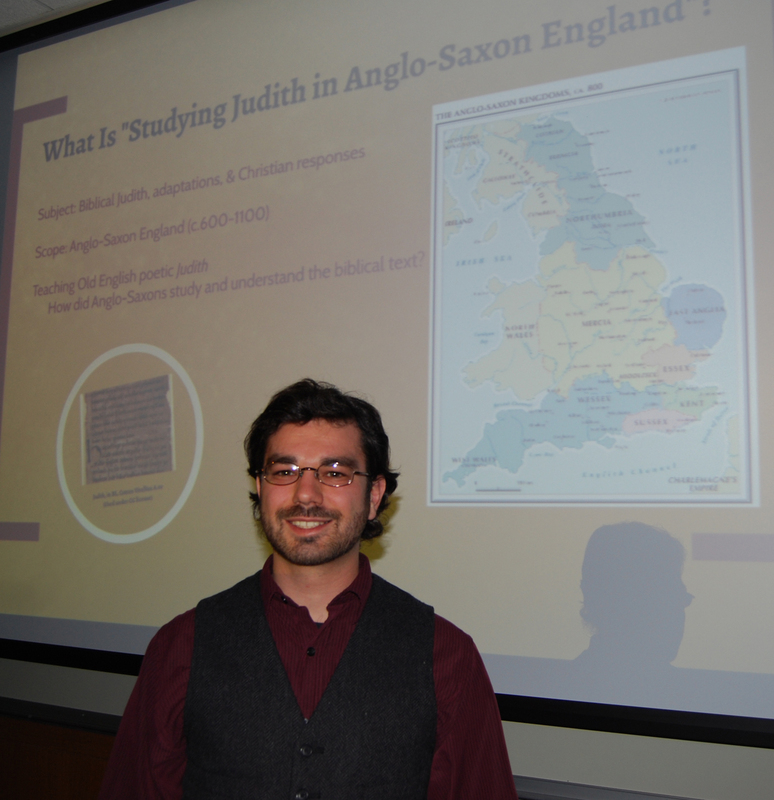 Two projects currently underway, include, “Studying Judith in Anglo-Saxon England” directed by Brandon W. Hawk, a Ph.D. candidate in the Medieval Studies program and “Virtual Hartford” led by Kevin Finefrock and Mary Mahoney, Ph.D. candidates in the History department. While the two projects differ widely from each other, they are both being built in Omeka, a free, open- source platform created at the Center for History and New Media at George Mason University. Hawk’s project focuses on an Old English poem Judith, which was adapted from the biblical Book of Judith (10th- century). Through this project, he aims to introduce readers to the ways in which Anglo-Saxon English society (c.600-1200) studied the Book of Judith, and to approach research in this area from various disciplines. Hawk’s project will feature a multimedia archive, analytical tools, and an interactive map. Finefrock and Mahoney’s project will present an interactive history website focused on events in Hartford, Connecticut’s past. They are building a site which will allow users to examine people, places, and events through access to primary source documents in an interactive environment. This site will also enable users to access documents for teaching and research in undergraduate education, as well as promote and publicize persons active in writing and presenting Hartford’s history. Readmore about these projects. Although the pilot has ended, we encourage faculty and graduate students to contact the Scholars’ Collaborative with questions about digital scholarship. Stay tuned to developments with the Scholars’ Collaborative; recommendations based on discussions and projects from this pilot are being reviewed and next steps will be determined in the near future.